Ridesharing has many benefits, including reducing stress, saving money, riding in carpool lanes and expenses and allowing you more time to be productive while being a passenger. Contact the TMA for information on finding a rideshare partner. Visit Sac Region 511 at sacregion511.org for online ridematching in the region. The TMA will arrange, with pre-approval from property managers, for a preferential parking space striped at your place of business. Carpool/vanpool parking permits are available at the TMA office. Download the Carpool Registration Form (2014) and Permit Policy Guidelines for more information or contact the TMA. The TMA will provide a $65 per rider subsidy each month for vanpool participants. Vanpools are formed with six or more riders. 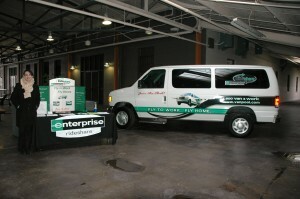 Vanpool leases are between Enterprise Rideshare and the vanpool. Download the Vanpool Subsidy Program information or contact the TMA.